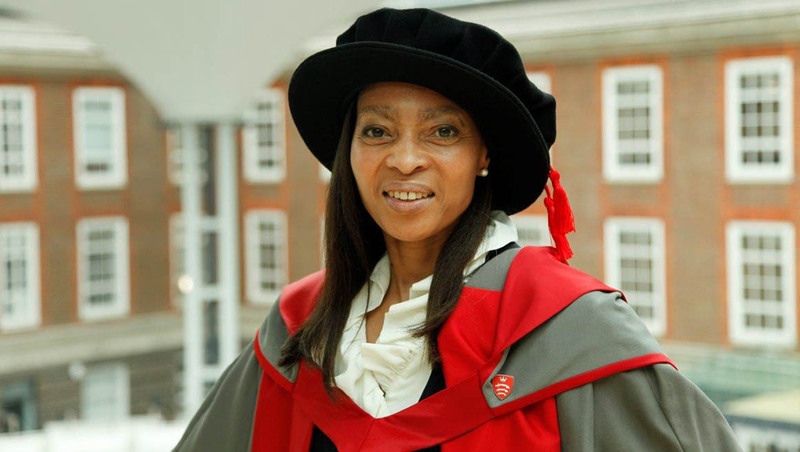 Margaret Casely-Hayford, who also sits on the Board of the Co-op as a member-nominated Non- Executive, is passionate about educating young people in business skills and was presented with the award at the University’s graduation ceremony today. “I’m deeply honoured not just to receive this award, but also to be associated with a university that is commercially and socially aware, outward looking and forward thinking," says Margaret. Margaret is passionate about creating diversity on boards and is an ambassador of Board Apprentice as well as Chair of the Advisory Board of Ultra Education, an enterprise which provides teaching of entrepreneurial skills to primary school children and a Non-Executive Director of Wet Zebra Media, an on-line publishing concept. She is also the manager of rap artist and digital media entrepreneur, Kelvyn Colt. Her portfolio in the past has included being a government appointed non-executive director of NHS England, the organisation that has responsibility for the £115bn budget for commissioning of the health service in England; a representative on the Board of the British Retail Consortium; and a government appointed special trustee of Great Ormond St Children’s Hospital Charity. From 2005 to July 2014, Margaret was Director of Legal Services and Company Secretary for the John Lewis Partnership, where she looked after the legal affairs for Waitrose supermarkets, their 4,000 acre farm, the John Lewis department stores, and their on-line and distribution operations. Before that she worked for 20 years with City law firm, Dentons, where she was a partner and jointly led an award winning team of 30 in planning and development work that included retail, housing, hospitals, historic buildings and mixed use schemes such as Kings Cross, and leisure and sports schemes like the Chelsea Football club and Rugby Football Union Stadium developments. After 30 years as a lawyer, she retired from executive roles and her portfolio now includes advising young entrepreneurs, supporting and advising organisations on governance, and advising those who wish to embark upon board careers. She was also a trustee of the Geffrye Museum and on the development board of the Young Vic Theatre. “It is a real privilege for Middlesex University to be able to recognise expertise, public duty and creativity by offering outstanding individuals one of our Honorary Degrees," says Vice-Chancellor, Professor Tim Blackman. Discover more about business at Middlesex.